The mysterious Superstar Shakeup continued with more roster moves reflected on the show, a pair of three-way matches took place with the winners facing off to determine Seth Rollins’ next challenger for the Universal title, an insane re-introduction of Bray Wyatt, the transformation of Bobby to Robert Roode, an update on The Vikings and their call-up experience, and a three-hour build up to a Baron Corbin main event. 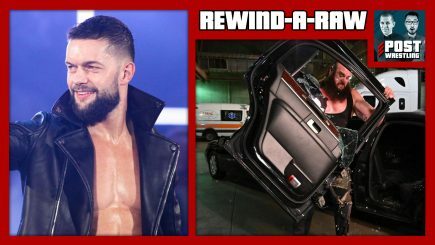 John Pollock and Wai Ting review the first night of the Superstar Shakeup with WWE Raw from Montreal, Quebec featuring the arrivals of AJ Styles, The Uso’s and the debut of The Viking Experience. 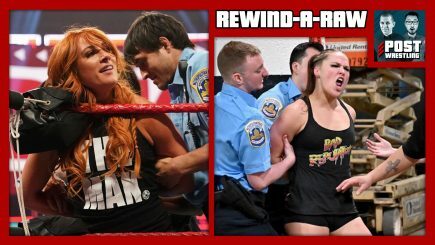 On the final Raw before WrestleMania, Ronda Rousey teamed with Charlotte Flair and Becky Lynch against The Riott Squad before the main event participants were arrested. 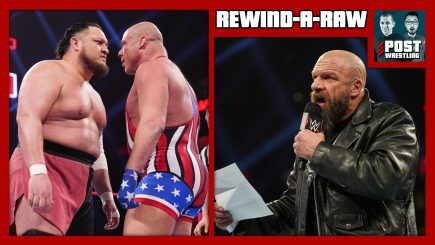 Plus, Kurt Angle’s final Raw before his farewell match, Rey Mysterio vs. Baron Corbin, a great Batista promo, the Demon version of Finn Balor is advertised for WrestleMania, and Stephanie McMahon announces it’s “Winner Take All” in the women’s main event. 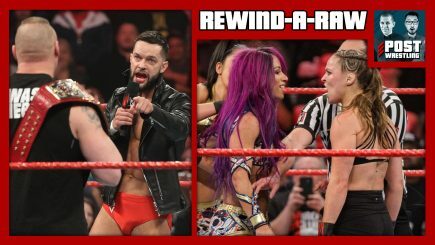 Monday’s episode featured a Last Man Standing match between Drew McIntyre and Dean Ambrose, Triple H quotes the Spice Girls as his career is threatened, SNL hosts added to the WrestleMania battle royal, Roman Reigns answered Drew McIntyre’s challenge, Kurt Angle has one more match with Samoa Joe, and for some reason there was a Beat the Clock Challenge featuring Ronda Rousey, Charlotte Flair & Becky Lynch. 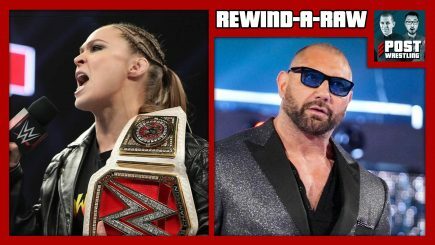 John Pollock and Wai Ting review WWE Raw featuring a face-to-face involving Triple H and Dave Batista, Kurt Angle announces his retirement plans, Ronda Rousey annihilates Dana Brooke, and a farewell address from The Shield. 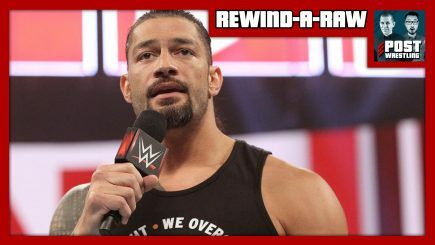 On a huge episode of Raw, Roman Reigns made his first appearance since October to announce his cancer is in remission. 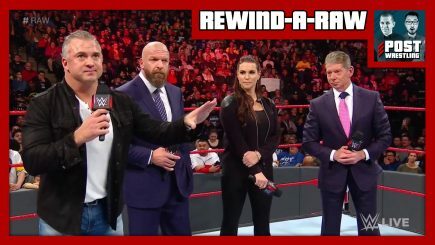 The show built to Ric Flair’s birthday celebration and a huge angle to end the show involving the return of Dave Batista. 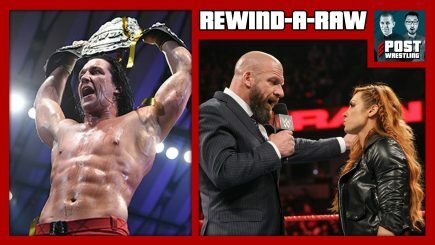 Following Elimination Chamber, Raw featured four big NXT call ups with NXT champion Tommaso Ciampa, North American champion Johnny Gargano, Ricochet and Aleister Black all wrestling on the show. 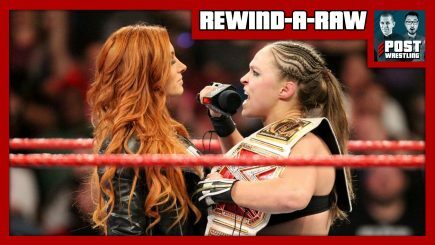 Plus, Ronda Rousey defended her title in a rematch against Ruby Riott, “The Brock Lesnar Story” narrated by Paul Heyman, the first official inductees into the WWE’s Hall of Fame 2019 class & more. 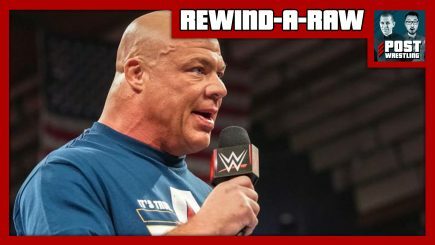 John Pollock and Wai Ting review WWE Raw from Portland, Oregon featuring Stephanie McMahon and Becky Lynch opening the show, Kurt Angle teams with Braun Strowman in the main event, and Jeff Jarrett has his first match on Raw since 19 Double 9. 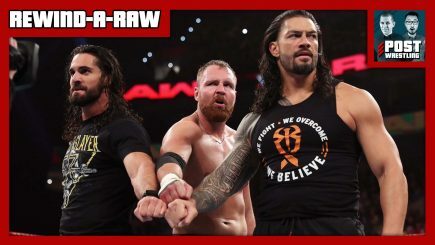 John & Wai discuss Raw after last night’s Royal Rumble with the main matches at WrestleMania 35 start taking form, Becky Lynch selects the champion she will challenge, Jeff Jarrett and Road Dogg perform “With My Baby Tonight”, and more. 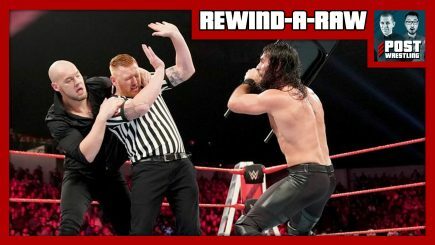 John Pollock and Wai Ting return to review WWE Raw from Memphis, Tennessee featuring changes to the Royal Rumble with Braun Strowman taken out of the Universal title match, a four-way to decide the new challenger, Nikki Cross wrestles on Raw, EC3, Lacey Evans and Heavy Machinery make cameos, and more. 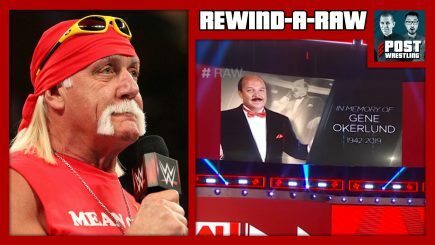 John Pollock and Wai Ting discuss WWE Raw featuring a tribute for “Mean” Gene Okerlund that included the return of Hulk Hogan to television, a Falls Count Anywhere main event between Dean Ambrose and Seth Rollins, and more. 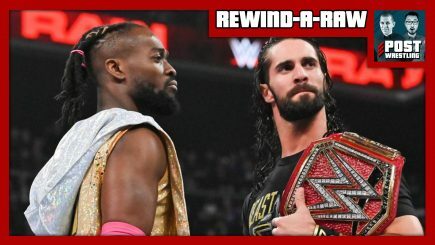 John Pollock and Wai Ting return to catch you up on this week’s New Year’s editions of Raw and SmackDown. 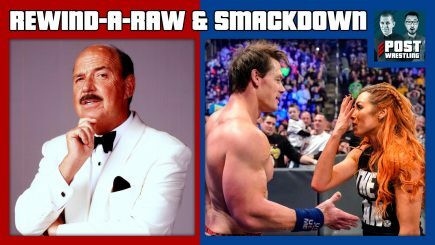 Plus, they discuss the life and career of the late “Mean” Gene Okerlund and the official announcement of All Elite Wrestling. 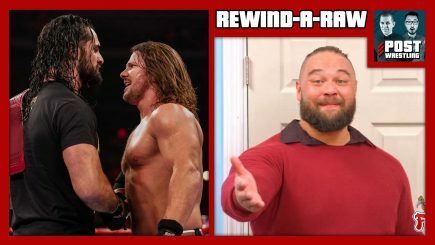 John Pollock and Wai Ting return after a short break for Christmas with condensed reviews of Raw and SmackDown from Christmas Eve and Christmas Day. Plus, they go through the entire UFC 232 mess involving Jon Jones and Impact Wrestling going to the Pursuit Channel in 2019. 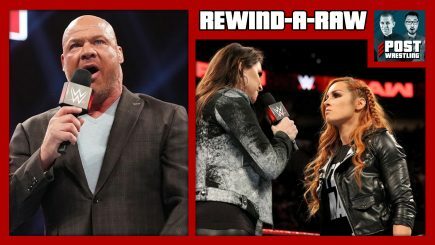 Vince McMahon returns to the show to announce the new leader of Monday Night Raw, Baron Corbin receives a final chance to become Raw GM, Dean Ambrose and Ronda Rousey issue Open Challenges, and a number of NXT call-ups are announced on this “new” and “fresh” edition of Raw. With John Pollock feeling under the weather, Wai Ting is joined by Nate Milton to review the show!